When a disturbance occurs within a railway network, a dispatcher has to decide ‘online’ about changes in the schedule in order to reduce induced delays and disadvantages for passengers. Computer assistance for dispatchers is needed. In an earlier work, a system architecture for a decision support system for operations control is proposed. This paper concerns the simulation part of this system, needed to manage and prevent delays. Besides operations control, we stress the usefulness of simulation already in the planning phase to prevent delays at operations. Analyzing (types of) disturbances, suitable distributions of delays are generated, and simulation is used to test the robustness of the timetable against disturbances. As a test vehicle, a computer-based environment configured for German Rail’s network has been developed. Robustness depends on dimensions of conflicts and of passengers involved. Conflicts and their causes directly depend on the ‘waiting time rules’ in use. By a simulation study, the quality of these rules can be evaluated and corrected. Preventing delays may be achieved by a better planning, too. 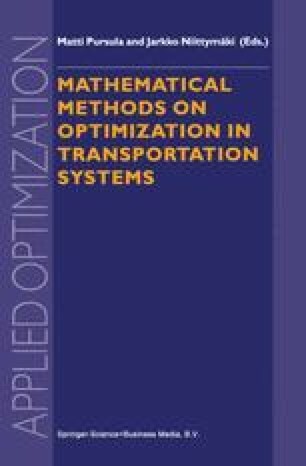 Special optimization models can be used to increase buffer times without need of extra resources.